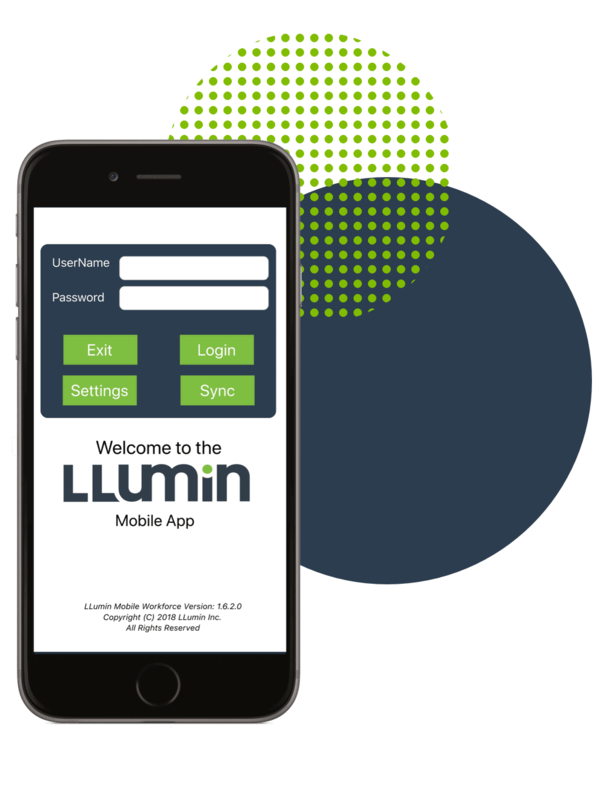 Every user or role within the LLumin suite gets their own home page of action items, statistics, reports, and privileges. READYAsset and READYTrak login profiles are easy to set up and manage. The key to successful Asset maintenance and materials management is to proactively anticipate points of failure and make corrections before they happen. LLumin’s READYAsset enterprise asset management and READYTrak materials management software provides the transparency and visibility that industrial companies, municipalities and higher education facilities need to see the location and condition of their assets, determine when they need service and define what type of service they need. LLumin provides technology that identifies issues across environments and helps organizations maintain consistent uptime, keep facilities and employees safe and facilitate regulatory compliance. Built in HTML 5 with full IIoT connectivity and advanced analytics, READYAsset and READYTrak are easy-to-use software suites, can be rapidly deployed and contain the enterprise level architecture necessary to successfully deploy our maintenance management and materials management software throughout your organization and supply chain. LLumin’s READYAsset CMMS and READYTrak MMS can be used independently or as two tightly integrated software suites. READYAsset Maintenance Management tracks the location, value, availability, status, and reliability of an asset throughout its lifecycle, giving organizations the tools they need to proactively maintain assets to prevent unnecessary or unplanned downtime. 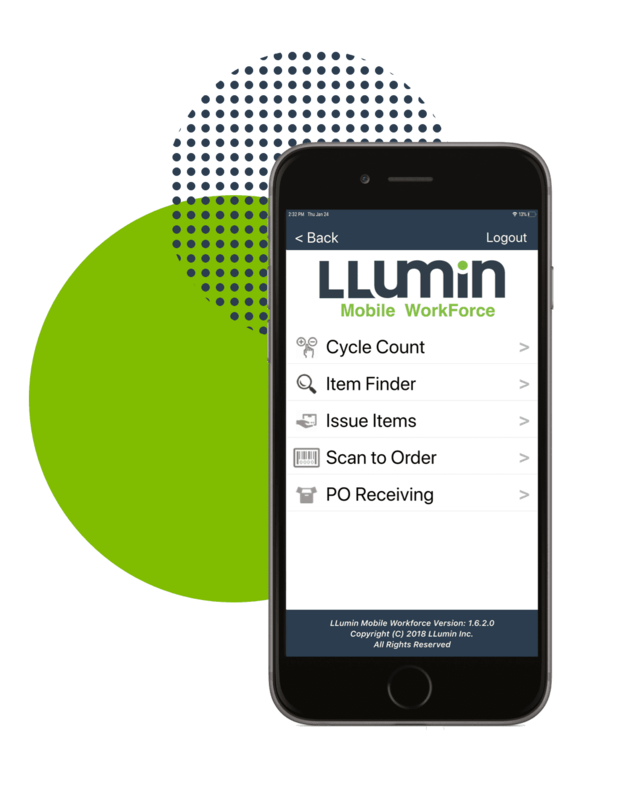 Our mobile and barcode-enabled maintenance management applications provide our clients with a solution that controls every element of plant maintenance – materials and tools availability, capacity planning, labor tracking, and reporting. Our web-enabled solution is powerful enough to give our customers options for seasonal/calendar-based preventive maintenance as well as utilization-based preventive maintenance. The READYTrak Materials Management software is a powerful inventory control and tracking software for managing every aspect of your material requisition, procurement, receipt, storage and disposal requirements. With inventory control functionality developed through years of industry experience, READYTrak Materials Management helps organizations establish inventory standards, accurately measure and maintain them and use them as a basis for planning and decision-making. Our mobile and barcode enabled solution also tracks all movement, transactions, and activity of items from order to delivery to usage and disposal. Ready to see how READYAsset can improve your operations?